FAQs about Tax Debt and Bankruptcy (Pt. 2) - Jon B. Clarke, P.C. Resuming FAQs about Tax Debt and Bankruptcy (Pt. 1), below are some more answers to commonly asked questions about tax debt and bankruptcy cases. Q – Can the IRS stop me from being able to discharge tax debt through bankruptcy? Although tax debt may be discharged through bankruptcy, here are some important things you need to know about both tax debt and bankruptcy. A – Yes! Like other creditors you may have, the IRS can file specific paperwork with the court to prevent you from being able to discharge your tax debt. This will not usually happen if you legitimately meet all of the eligibility requirements for discharging tax debt through bankruptcy and your bankruptcy petition has been prepared and filed by an expert. If, however, the IRS has reason to believe that some type of fraud may be associated with your previous tax returns or that you have intentionally evaded paying your taxes, officials at this agency may take action to stop you from getting your tax debts discharged through your bankruptcy case. If the IRS is ultimately successful, then this tax debt will never be dischargeable through bankruptcy. Q – What if the IRS is already taking action against me? Can filing for bankruptcy help me? A – Yes! If the IRS has sent you a notice that it is taking action against you by initiating a tax lien or moving forward to seize your assets, then filing for bankruptcy – regardless of whether it’s a Chapter 7 case or a Chapter 13 case – can invoke a powerful court protection known as the automatic stay. The type of bankruptcy case you are pursuing will dictate whether or not you will need to make further plans regarding the repayment of your tax debt (or whether that tax debt will end up being fully discharged through the bankruptcy case). 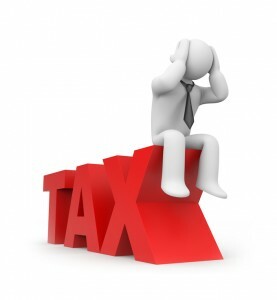 Q – Is tax debt the only type of debt I can discharge through bankruptcy? In fact, various types of unsecured debt can be discharged through bankruptcy, making it a powerful solution when people are buried in debt and they need a financial fresh start. Don’t miss the upcoming conclusion to this blog series on tax debt and bankruptcy! You can call us at (866) 916-3950 or email us using the contact form on this page to set up a free initial consult and learn more about your best options for debt relief.